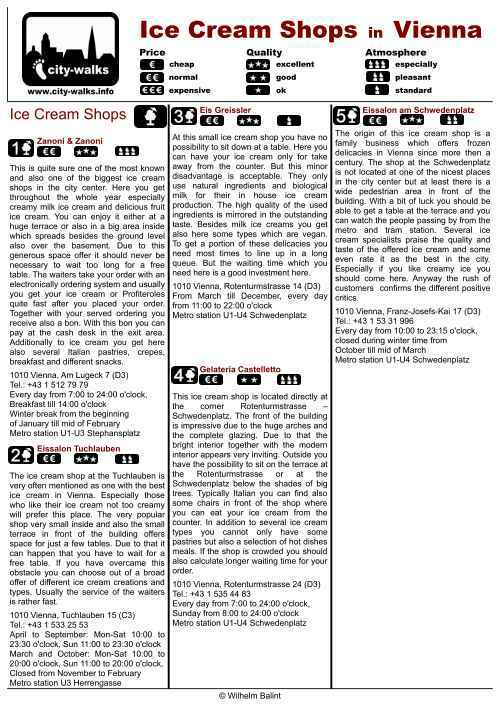 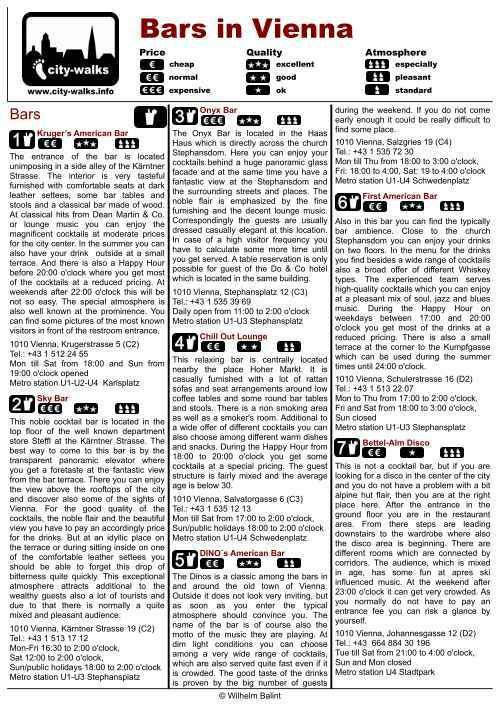 Here you get the recommendations for Viennese restaurants, bars, coffee houses and ice cream shops located in the city center. 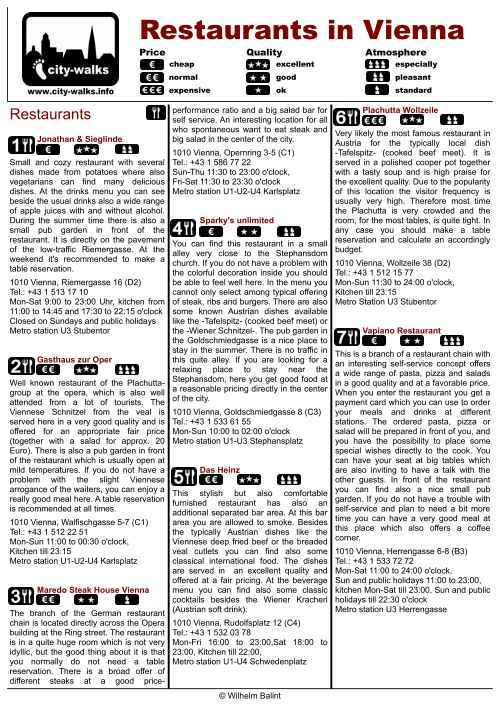 The PDF files in A4 format, which consist of the most important online information with a rating for price, quality and atmosphere, can easily be printed or downloaded. 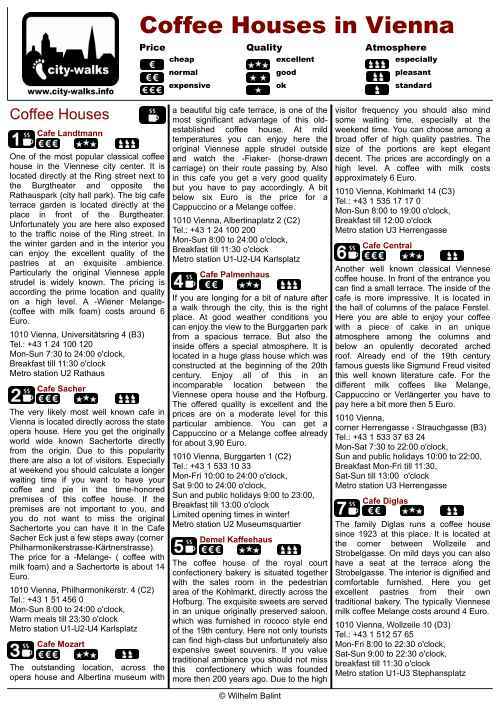 For each of the four areas you have a sheet available. 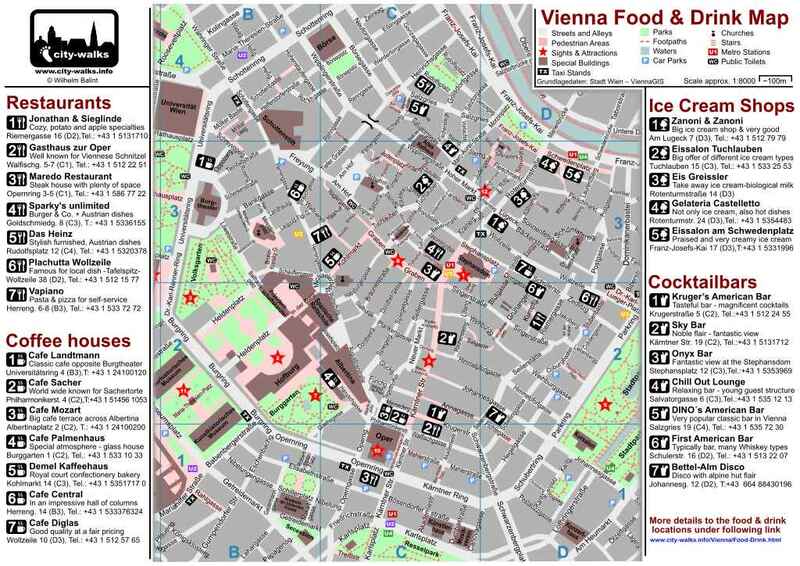 To help you to find quickly all the recommendations at your stroll through Vienna there is also a city map available with all the locations marked with symbols.